There are 10 posts filed in China (this is page 1 of 1). Asia Beijing Corporation is cold calling victims of Renwick Haddow’s scam, Bar Works. Asia Beijing Corporation claims to be able to “exchange the toxic asset” for shares in Ant Financial Services Group. Of course, Asia Beijing Corporation is running a ridiculously obvious recovery room scam. G2G Investments: Recovery room? Scam? Or what? G2G Investments Ltd is “an independent brokerage specialising in offering investment opportunities in gold, silver, and other alternative investments to private clients seeking to hold wealth in capital assured tangible assets”. At least that’s what it says on the company’s website. Norway has transferred US$80 million to the Inter-American Development Bank as part of the Norway-Guyana US$250 million REDD deal. Perhaps surprisingly, if Guyana spends the money it will involve the destruction of a large area of rainforest. “Hongmu” is a style of intricately carved Chinese wooden furniture and artworks. It’s found on sale in glitzy shopping malls across mainland China. But behind the timber used to create this art form is a violent crime wave. China Development Finance Corporation is cold calling people and offering to sell their near-worthless carbon credits. The company is a transparently obvious scam. 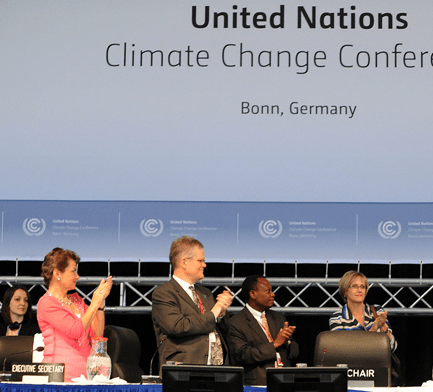 On 28 November 2009, Brazil, South Africa, India and China formed the BASIC block and agreed to act jointly at COP15, the UN climate negotiations in Copenhagen. The BASIC countries threatened to walk out of COP15 if rich countries attempted to force their agenda on the Global South. Yesterday, ABN interviewed the Chair of the Clean Development Mechanism Executive Board, Martin Hession. The interview included a very interesting question, which is very relevant to REDD and whether REDD is to be financed by carbon trading. Interview with Andy White, Coordinator of the Rights and Resources Initiative, Washington DC, by email.